Mondial Air Ballons® is the biggest international gathering of hot air balloons. A unique event in the world! Between Metz and Nancy (Grand Est Region, France), every edition draws 3000 pilots and crews of the entire planet, and between 250,000 and 400,000 visitors during ten days of festivities. 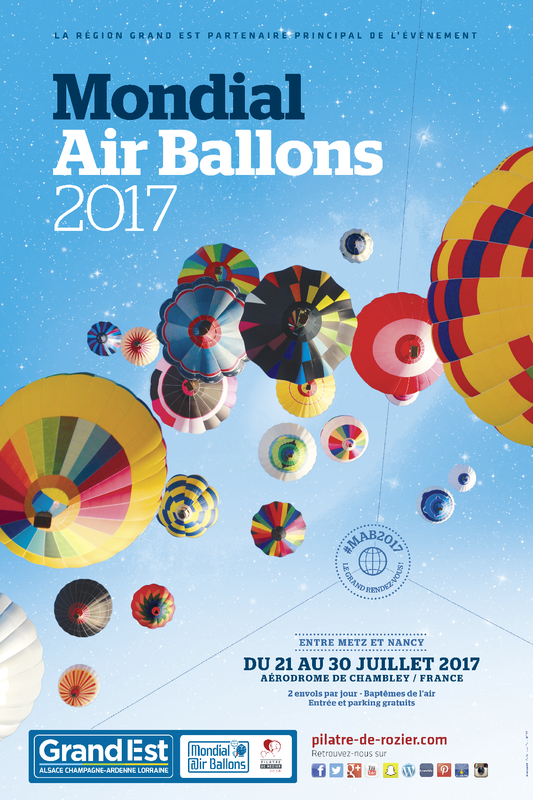 From July 21st to 30th, 2017, hundreds of balloons will take off above Chambley aerodrome (Meurthe-et-Moselle – France), in the heart of the Regional Natural Park of Lorraine. For the 15th edition, entertainment and events are planned on the ground and in the air, to the delight of children and adults… And don’t forget the two daily ballets of multicolored balloons (in the morning and in the evening). In summer 2017, Mondial Air Ballons® is “The Grand Rendezvous“.